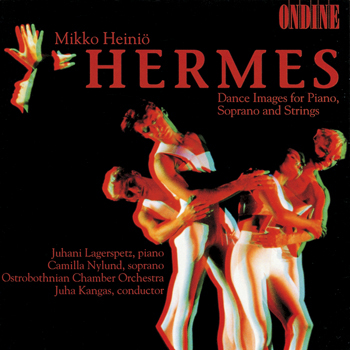 This CD contains the large-scale work Hermes (Dance images for piano, soprano and strings) - also considered as Piano Concerto No. 6 - by Finnish composer Mikko Heiniö. The disc also includes In G for cello and piano.